By David J. Eicher and Dr Brian May with contributions from the legendary Apollo astronauts and moonwalkers Charlie Duke and Jim Lovell. The experience of this book is as close to being there on the Moon’s surface as it’s possible to get for Earth-bound creatures like us. I’m proud to present the London Stereoscopic Company’s 8th book, and this one is something absolutely unique. 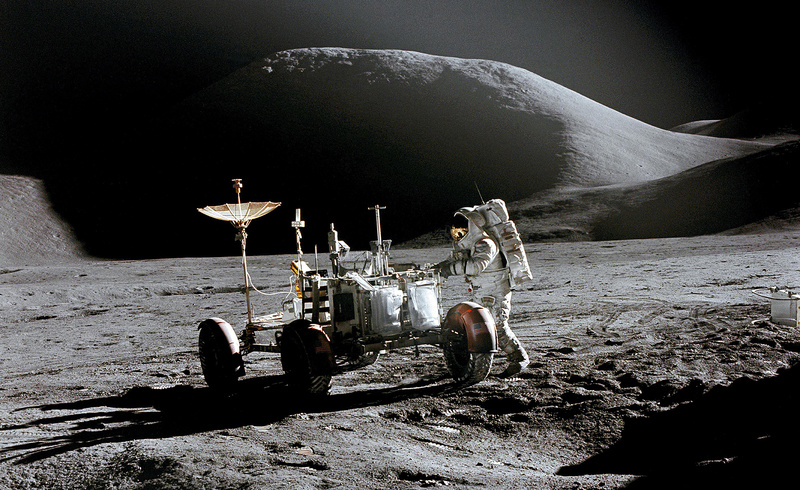 With text by Astro Guru David J. Eicher, it’s the story of the space race and the Apollo Moon landings told from both sides of the race – and brought to life for the first time ever in true side-by-side full-colour stereoscopic 3-D. Somehow, although it’s 50 years since these historic adventures, the trail is as fresh as ever, especially viewed in the ‘virtual’ world of the stereoscope. It’s brilliant – I love the stereoscopic imagery and it beautifully documents such an exciting era of space exploration. Mission Moon takes readers on a skilfully narrated and beautifully illustrated journey through the events which led up to Apollo 11’s lunar landing in July 1969 when Neil Armstrong and Buzz Aldrin became the first people to walk on the face of the Moon. Mission Moon comes with a Lite Owl, a slick state of the art 3-D viewer designed by Brian May. This book celebrates not only 50 years since Apollo 11 and the first human steps on the Moon, but the achievements of the all Soviet and American heroes who risked and sometimes lost their lives in the race to the Moon.